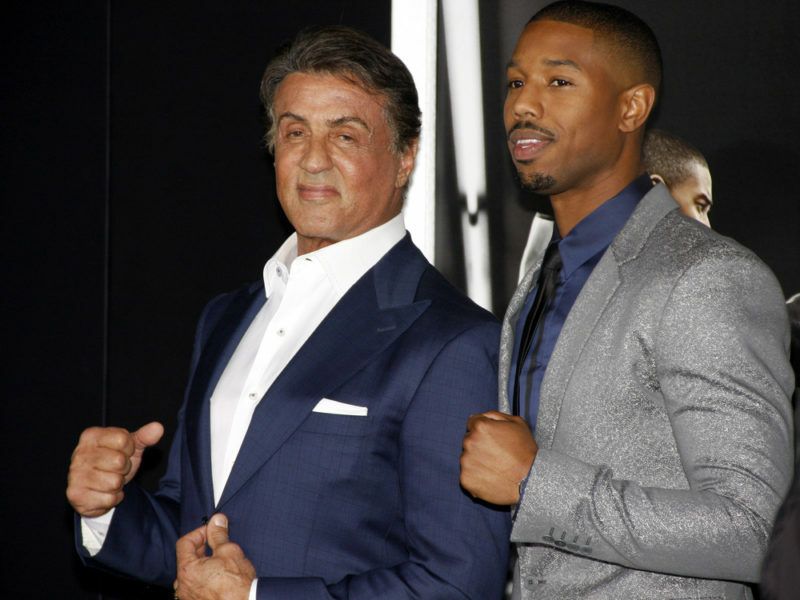 World famous actor Sylvester Stallone is known to be one tough guy. His lead roles in the Rambo movie franchise, Rocky, and more recently Creed movies have portrayed that image. The 72 year-old actor is “one of the most popular actors in cinematic history.” His first Rocky movie won the Academy Award for Best picture of 1976 which launched him as one of the most sought-after action movie stars in the late 1970s and 1980s. However, Sylvester’s career began declining in the mid-1990s as several movies did not fare well. But he made a comeback, fighting his way back to success. Returning to playing Rocky in Rocky Balboa (2006) the role mirrored his career. Soon after that he made the fourth Rambo movie in 2008. And then in 2010, the highly successful Expendables franchise began, making him a force to be reckoned with. In 2010, he told GQ Magazine that he was a spiritual man but is not a member of structured church.